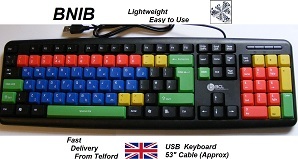 A&A Computers is pleased to offer a range of low cost, quality computer keyboards. 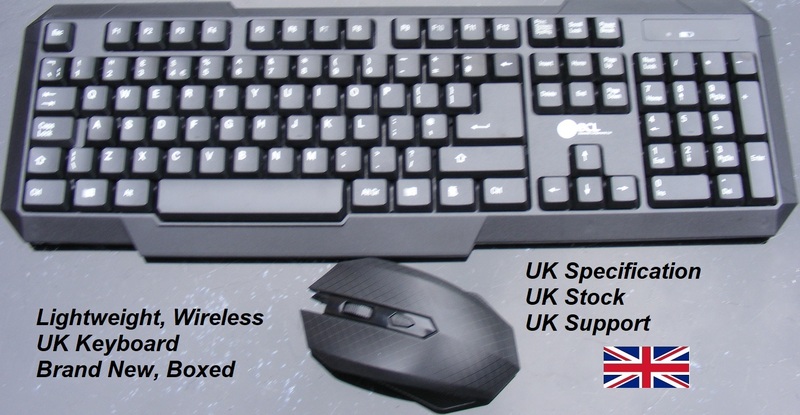 All advertised PC Keyboards are supplied from the UK sourced and usually available by same day (Telford) or next working day UK delivery (dependent upon time of order, workload etc). Laptop keyboards will need to be fitted. 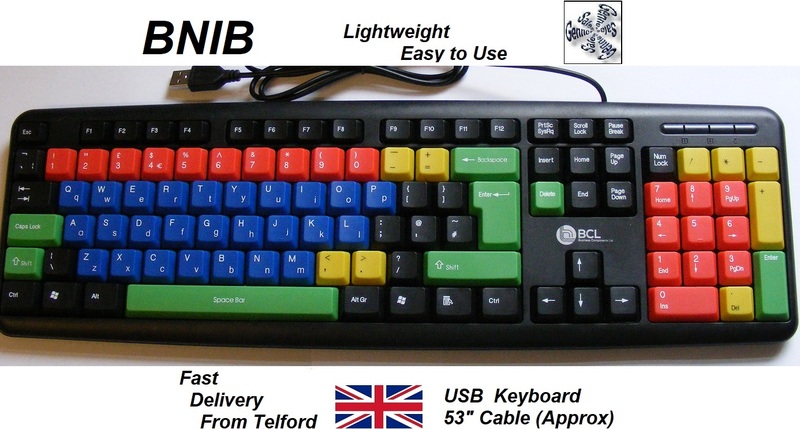 Please note that laptops use specially designed keyboards which will usually need to be ordered from the manufacture and fitted - tested in-house. Laptop keyboard prices vary according to manufacturer and model. All laptop keyboard installations include a free laptop service. Numbers are Blue, Letters are Red, Maths Keys are Yellow, Other Major Keys are Green. Supports Windows 10, Windows 8.1, Windows 8, Windows 7, Windows Vista, Windows XP. 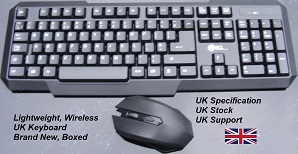 This 2.4GHz wireless combo is ideal for office and home use the keyboard and mouse can be used up to 10 meters away from the PC, the ergonomic design makes both units easy and comfortable to use not only on a desk but on a table in the house, the nano receiver is discreetly inserted into the mouse when not required Easy to use and spill proof keyboard with a keystroke lifespan of 10 million uses the mouse has the same lifetime.